We have featured all kinds of iPad 2 cases, but if you just need a Smart Cover friendly protective case, the new Belkin Emerge 024 iPad 2 case may be more suitable for you. Belkin Emerge 024 is a slim, form-fitting protective case designed for iPad 2 with Apple’s Smart Cover. 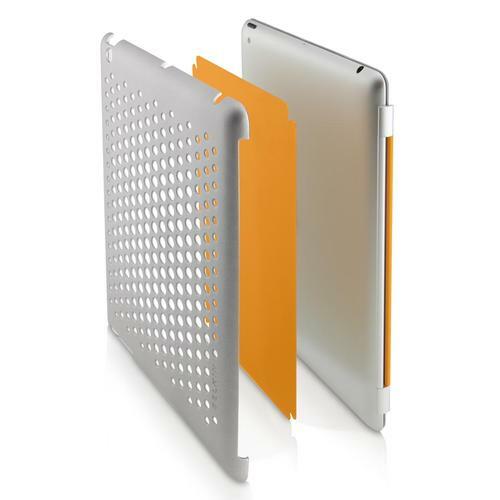 The iPad 2 case is made of durable polycarbonate in order to protect the iPad 2 from bumps and scratches, while the soft-touch finish offers you a comfortable grip. And the iPad 2 case also comes with interchangeable colored inserts, so you can change the back insert based on your mood. The color of the insert can show through the perforated pattern of the protective case. Apart from that, all the iPad 2 buttons and functions are accessible via custom cutouts. Belkin Emerge 024 iPad 2 case is priced at $39.99 USD. If you’re interested, jump to Belkin official site for more details. 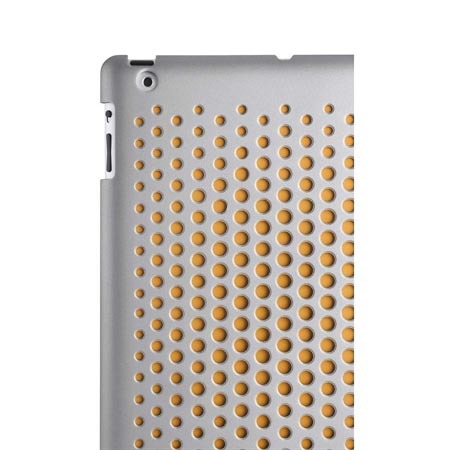 Additionally, if you need more options, you might like to check Vaja Smart Grip, SpinWork2 iPad 2 case and more via “iPad 2 case” tag.